Co-Optimus - News - GTA Online Adds Modes, Fixes Issues and Moves Away From PS3 and Xbox 360. 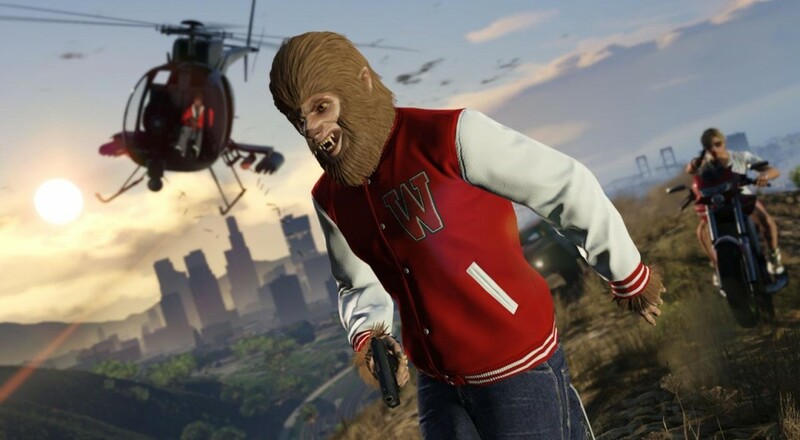 GTA Online Adds Modes, Fixes Issues and Moves Away From PS3 and Xbox 360. On September 15th 2015 Grand Theft Auto V added an update that brought Freemode events, patched some major issues and introduced Rockstar Editor (gives the player the ability to create, edit and share videos of Grand Theft Auto V and Grand Theft Auto Online). The announcement of these upcoming new features seemed to be used as a distraction as it was later stated that there will no longer be any new major updates coming to PS3 and Xbox 360. In a statement provided to Kotaku UK, Rockstar said “technical capacity of what the older generation of consoles can handle…we have continued to optimize the entire game over time in order to squeeze as much memory as we possibly could out of the last-generation hardware and at some point, continuing to add content for those systems could cause the risk of instability to the game overall,”. Those who have been a part of GTA V since it first launched on PS3 and Xbox 360 back in September of 2013 can remember the horrific start Rockstar had at launch with GTA Online. The game was broken from an online stand point for over a month and it took them a while to figure out what was wrong. So the news that the older systems just can’t handle the updates and upcoming additions to GTA Online should really be no surprise. Back in May they alluded to the eventual cease of last generation support due to the amount of memory and power needed to run them of older consoles. Freemode Challenges- Compete in 19 unique Challenges against your Freemode friends and foes. See who can perform the longest jump, who can drive the farthest without crashing, who can fall the longest distance without dying, who can freefall the farthest before pulling their ‘chute – and many other ways to risk your neck to try and be a top 3 finisher for GTA$ and RP rewards. Hunting Pack - players have to stick to high speeds in a vehicle rigged with explosives, facing death if the vehicle drops below a certain speed. Cross the Line – P layers must defend their territory while fighting off opponents, however, the teams are equally balanced. With this bit of news let us hope that the future of GTA Online is a more polished and positive one now that all of Rockstar can get behind one generation of consoles. GTA V's new updates launched on September 15 and can be enjoyed with your friends. Page created in 0.4778 seconds.